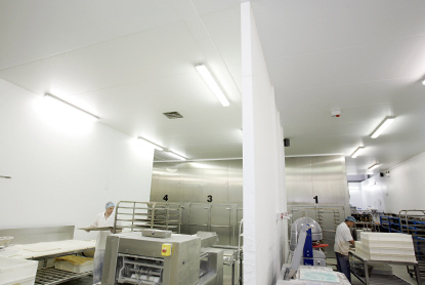 Sites ranging from convenience food manufacturers to fish and meat processors have adopted the Pure Hold Hygiene Handle as an additional barrier to protect food production sites and staff in their constant endeavours to meet the highest possible hygiene standards. Unilever and Greencore pioneered the initial Pure Hold Hygiene Handle trials within the food processing market and have subsequently gone on to purchase the handles following successful trials and feedback from users, customers and auditors. The handles have been strategically located on doors around the factories, including those at factory entrances, canteens and toilets (on exit).The innovative handle contains highly effective virucidal gel that is released onto the hands as personnel grasp the handle to open the door. Independent laboratory and customer swab tests have confirmed that the handle is able to clean users’ hands effectively. 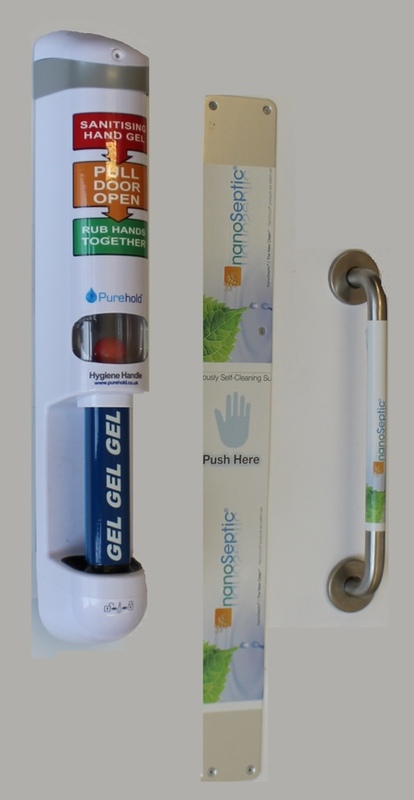 ‘The Pure Hold Hygiene handle is a novel and effective way of confronting staff and visitors with the need for clean hands,’ says inventor Matt Roberts. ‘Unlike static wall-mounted dispensers, which people can miss or forget to use, the Pure Hold Hygiene Handle forces people to clean their hands, raising awareness and compliance,’ he says. The human hand is one of the primary causes for the spread of contaminants within the food industry and hence industry experts are constantly looking at ways to improve hand hygiene and compliance. 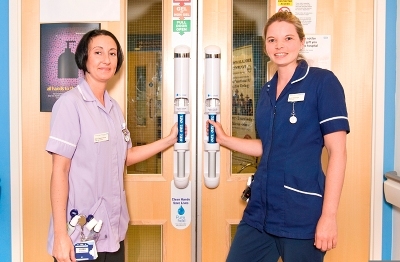 The Pure Hold system has been designed to make a step-change improvement in hand hygiene; by building a dispenser into the door handle, everyone who opens the door is forced to clean their hands. 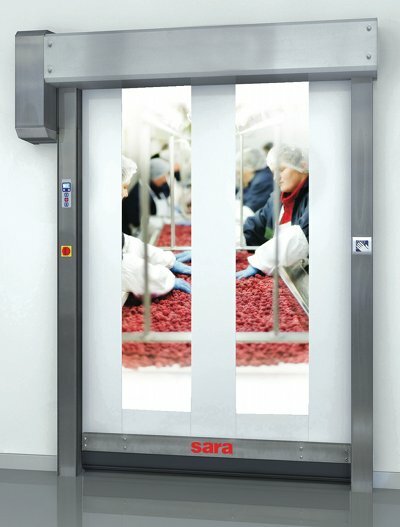 Rather than encouraging people to comply and then hoping they will take appropriate action, this approach not only ensures that everyone complies, but also significantly reduces the risk of cross contamination via the door handles themselves, a common vector for the spread of contamination food plants. 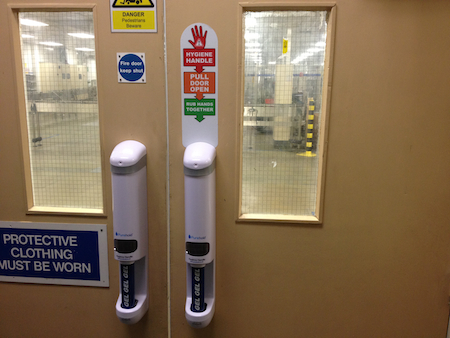 In separate independent tests, the Hygiene Handle surface was shown to be 98.5% cleaner than standard door handles. Training staff in correct hand hygiene is something that many food plants spend much time and money on. Without such training most people are unaware of the importance of hand hygiene. A recent survey of 1,000 people among the general public showed that 1 in 10 people just ‘splash and dash’ after using the toilet and one in five don’t wash their hands at all. About 40% wash their hands for less than 10 seconds (when experiments have shown it takes 20 seconds of washing with soap to effectively wash hands) and men are twice as likely to wash without using soap or hand wash.
With the average person carrying more than 10 million bacteria on their hands alone, the issue of hand washing is important for industries such as the food processing sector (source: One Poll, September 2013). The innovative Hygiene Handle was originally designed to address the problem of hand hygiene in hospitals and healthcare settings where the spread of infection is an issue. However, a variety of industries were able to identify new potential for it, including an overwhelming number of food processing plants keen to try it for themselves.